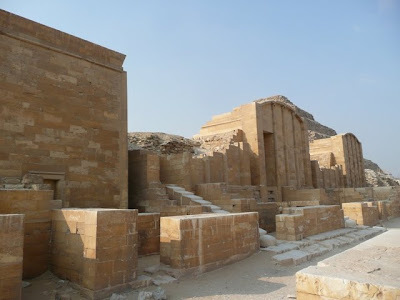 And so we arrive in Sakkara, the original Memphis… not the one where Elvis was born. Beautiful smooth columns, cool to the touch. 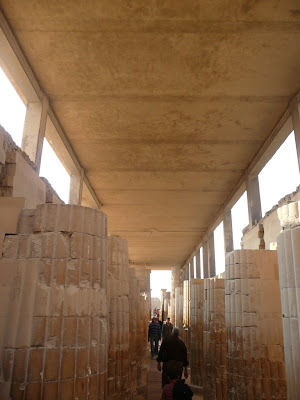 This is the roofed collonade columns leading into the funerary complex of King Djoser. 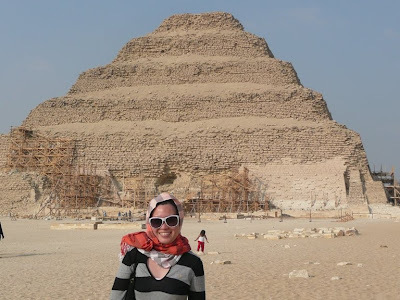 This pyramid, began the building blocks of foundation for the creation of the Great Pyramids of Giza. 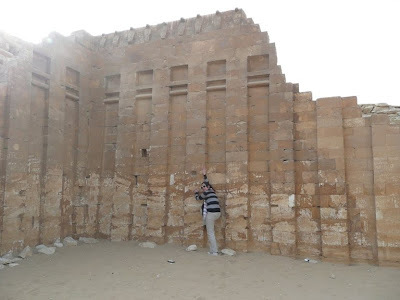 What started out as a mastaba (flat tomb), started growing upwards as more of the royal family joined the departed. 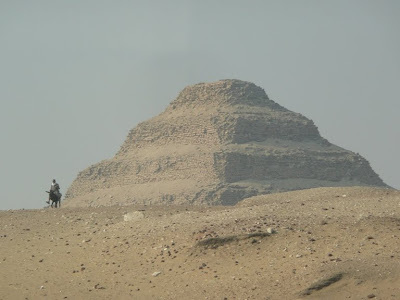 We have been travelling back in time, in regards to the tombs, firstly by visiting the Valley of the Kings, then the Great Pyramids, and finally concluding with the first chapter, here in Saqqara. They say this is the start of the Great African desert. Indeed you can see distinctly, where all the green ends and where the desert begins. 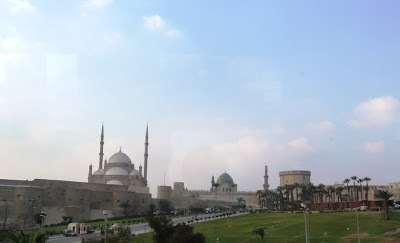 Moving on, Farag decides to pack our day in and take us to see the Citadel of Salah Din and the Mosque of Mohamed Ali, aslo known as the Alabaster Mosque. 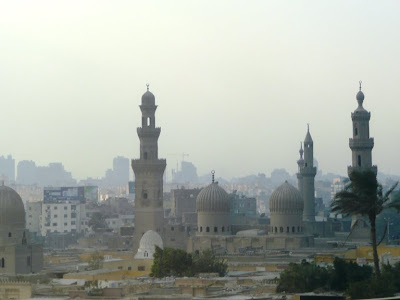 (the city of the living dead, the citadel is surrounded by large complexes of tombs of nobles, as well as two smaller Mosques. Being so big, families live within the tombs (sprawled like villages), to maintain and upkeep the area). The beautiful Mosque stands out from a hill within the Citadel. 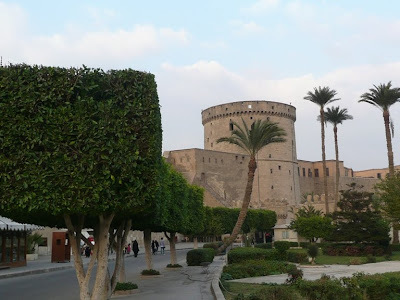 This citadel was built to protect its people from invasion of the Crusaders. 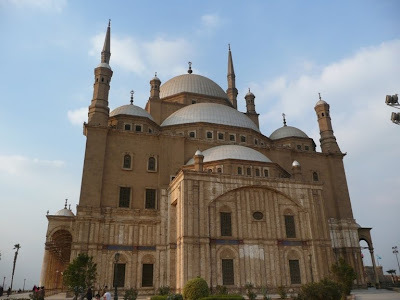 During the reign of Mohamed Ali, he tore down the beautiful Mamluk palaces within the grounds of the citadel and built this mosque in memory of his son. 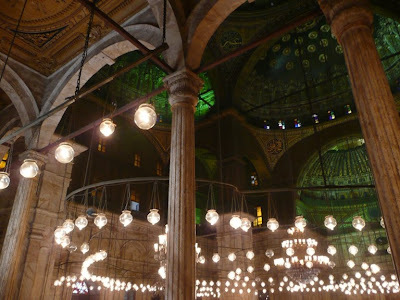 The beautiful interior of the mosque (once inside, you have to take off your shoes), lit up with beautiful lamps (now via electricity). 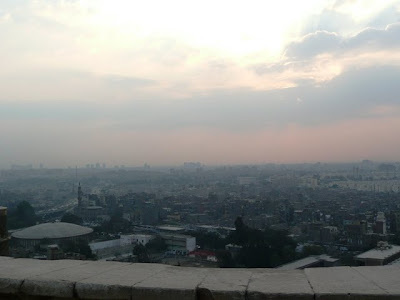 The view of Cairo from the citadel. 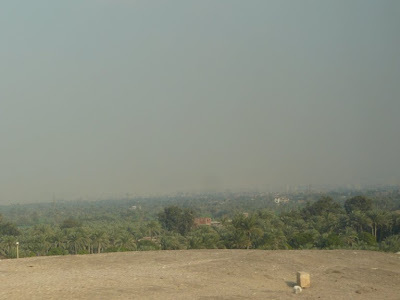 Smog and haze covers most of the town. 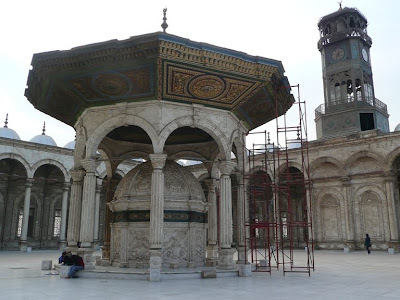 A final view of what’s left from both the Mamluk and Ottoman empire. Wow. That Mosque looks incredible. It all does. 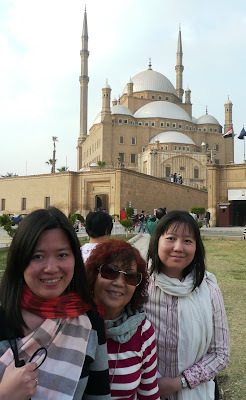 I would love to visit Egypt one day.